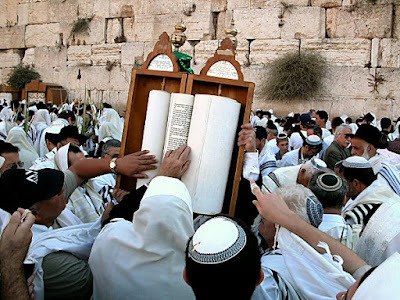 The Ignorant Fishermen Blog: A Personal Question for a Son of Israel - Where is Your Atonement Before the ETERNAL RIGHTEOUS G-d? A Personal Question for a Son of Israel - Where is Your Atonement Before the ETERNAL RIGHTEOUS G-d? My beloved Jewish friend, may I ask you these very personal questions on the Day of Atonement? 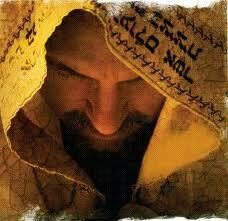 Where is YOUR atonement for your transgressions against the Holy Law of Almighty G-d (Lev. 17:11, Isa. 53)? Where is YOUR sin-offering for your cleansing of transgressions against the Holy Law of Almighty G-d (Lev. 4, 17:11, Isa. 53)? Where is YOUR lamb to offer in your place for your transgressions (Lev. 17:11, Isa. 53)? Where is YOUR propitiation that FULLY satisfies the PERFECT RIGHTEOUS DEMANDS OF THE HOLY LAW OF G-D (Isa. 53:10-11, Zech. 12:8-14)? Have you PERFECTLY kept the LAW of Moses with your whole HEART, SOUL and MIND (Deut. 6:5)? My dear Jewish friend, ALL (Jew and Gentile) crucially need Almighty God's FULL SATISFYING propitiation, which all the lambs of sacrifice pointed to but could NEVER take away (Ps. 40:6-8, Isa. 40:16). ETERNAL redemption is ONLY found in the PERFECT life, death and resurrection of the Messiah of Israel, the Branch of RIGHTEOUSNESS (Psalm 110:1, Isa 9:6-7, 53, Jer. 33:15, Zech. 12:10). The Messiah was born of the seed of woman and of the line of Abraham (Gen. 3:15, 12:3, Isa. 7:14, 9:6-7, Micah 5:2). He laid down His PERFECT and sinless life and shed His Blood for the transgressions of the world and was rejected by both Jew and Gentile (Isa. 53:1-10, Dan. 9:26, Zech. 12:10). He was buried (Ps. 16:10, Isa 53:9) and triumphantly AROSE from the dead for our justification and now sits at the RIGHT HAND of ALMIGHTY G-D in Heaven (Psalm 16:10,110:1, Isa. 52:13, 53:12, 9:6-7). He will come again to redeem Israel and will establish His Kingdom from Israel (Psalm 110:1, Isa. 11:1-10, Dan. 2:44-45, 7:13-14, Micah 4:1-4, Zech. 12-14). ETERNAL redemption is ONLY found in the PERFECT life, death and resurrection of the Messiah of Israel, the Branch of RIGHTEOUSNESS. It is our sincere desire that you would come to know the Messiah of Israel and let the Word of the Lord open your eyes and heart to the realities of time and ETERNITY. Tragically Israel's WORST DAYS are not very far away (Jer. 30:4-9, Zech 13:7-9, 14:1-4). It will take this GREAT TRIBULATION AND THE BATTLE OF ARMAGEDDON that will cause Israel to FINALLY afflict themselves greatly because of their transgressions and cry out to the LORD Yeshua Messiah as He returns from Heaven's glory! It will be then that they will greatly repent and be mightily converted (Isa. 63:1-4, 66:7-9, Zech. 12:1-4, :8-14, 13:1-2,6, 14:1-4, Rev. 1:7, 19:11-21). Oh what a glorious day that will be and because of their reception of Yeshua Messiah they will now be ready for the Kingdom Age Almighty God promised to Abraham, Isaac and Jacob and to her seed! 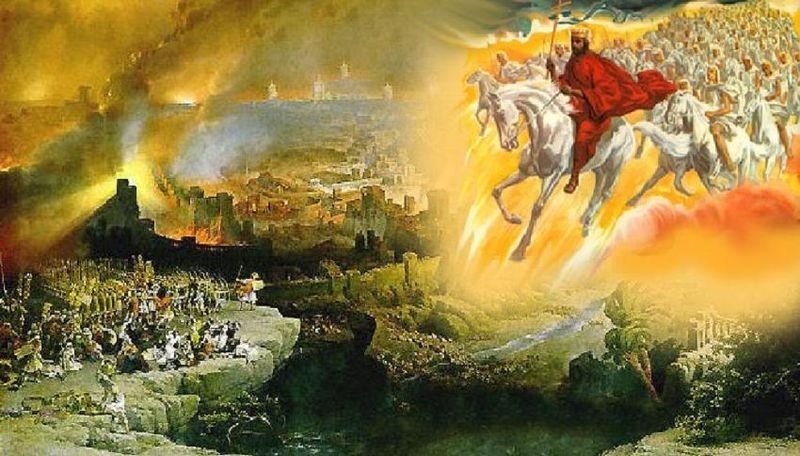 It will FINALLY take this GREAT TRIBULATION AND THE BATTLE OF ARMAGEDDON that Israel will FINALLY cry out to the Lord as He returns from Heaven's glory and the will greatly repent and be mightily converted. We are not far away from these days. Oh my dear Jewish friend, may you have an ear to hear today the Gospel call of the Messiah of Israel! May you by faith ask Almighty G-d to reveal to you through His Holy Word the Messiah of Israel and may you receive Him as your Lord and Savior (Ps.110:1, Isa. 53). Beloved, the Kingdom of Heaven is at hand! Have You Kept the 10 Commandments Perfectly? The Shed Blood of the Messiah for You!